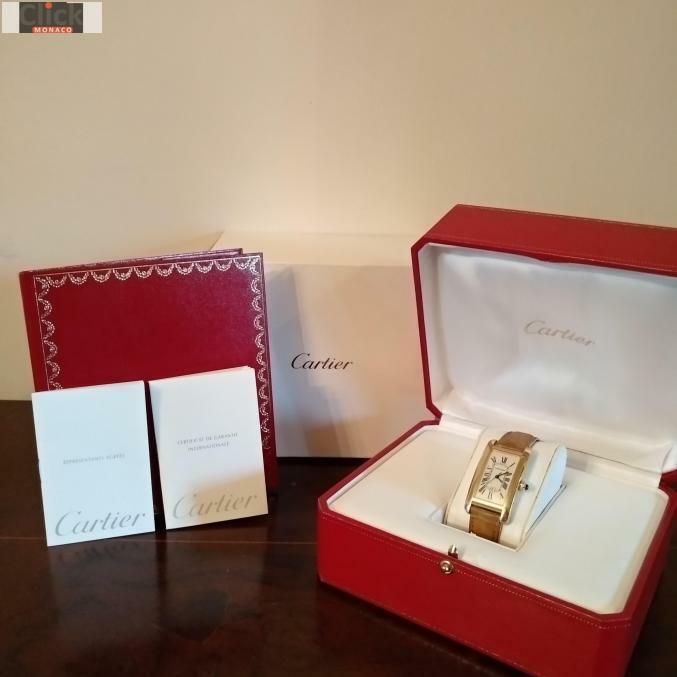 On sale amazing men's wristwatch Cartier Tank Americaine date, in 18kt yellow gold, ref. 1725, completely original, FULL SET, collecting interest. Movement: Original, automatic with seconds in the center and date at 6, cal 077 Cartier, fully functional. 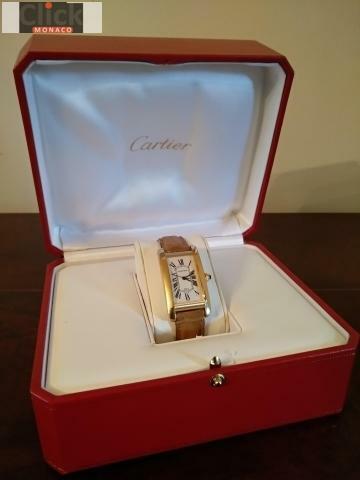 Dial: Original, with Cartier logo and swiss logo. Case: Original, signed Cartier in 18kt yellow gold, no. CC723236. 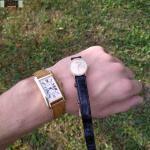 Bracelet: In natural crocodile leather, original Cartier, exactly the same as when it was purchased, signed.